Is it a lot of material wealth and plenty? Is it an abundance of skills and abilities? Perhaps abundance begins with thoughts, feelings and actions. We may all have different ideas about what abundance means to us. It could mean anything from material, physical, mental, emotional, relational or spiritual abundance. We all have spells in our life when things look like they are going great. But then, you lose the magic touch. Your abundance seems to have dried off. You do not feel lucky anymore, let alone feeling a sense of plenty. Have you ever wondered what highly abundant people do differently? How do abundant people think? What is the source of seemingly limitless abundance and plenty? What makes some people always look at, believe and take the side of scarcity and lack? And what makes some people have an overwhelming amount of plenty in many areas in their life? By any means, none of the following ideas are for judging the scarcity mindset or the lack and limitations that we all may face. Most of us have experienced debilitating limitations and lack and scarcity at some point of our lives or another. The intention of this post is to shine light on some of the automatic and forgotten scarcity habits, beliefs and thinking that we may be participating in. 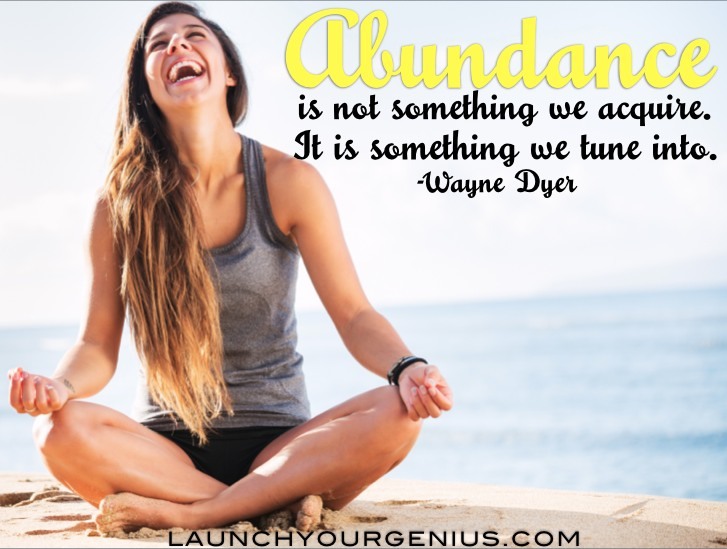 I believe that abundance is our natural order and way and it is best to claim it in our lives. Who wants to live in lack and limitation when it is possible to live in abundance? This is Part-1 on the 2-part series on abundance. Abundant people think highly of themselves. They have an internal meter that guides their self-worth and esteem to avoid situations that belittle them. They usually do not question their self-esteem below the threshold of “I am good enough.” Abundant people have the same fears and doubts as people with scarcity thinking. But they do not allow the fears and doubts to question and overcome their self-worth. Abundant people also have an effective habit that distinguishes them form scarcity thinkers. They think, feel, believe and act towards the idea that “they deserve better.” This does not come from an entitlement mentality. Instead this comes from a deep-seated belief of plenty and an abundant mindset. Anyone can think from this magnificent viewpoint of abundance and plenty. It means recalibrating the mindset to see the inherent value that we all have and express it out to the world. Highly abundant people have a deep visceral sense and belief of who they are as a person and their abilities. Self-efficacy is the power of a person’s belief in their abilities to finish tasks and complete goals. Self-efficacy was first described in detail by one of the greatest psychologists of our time, Albert Bandura. They have what it takes to do a task. They have the skills and capacity to drive change. They can and should reach a goal and that it is a matter of time and effort. If someone else can do it, so can they. They can achieve the impossible with effort, learning and action. Having a scarcity mentality burdens the person with a ever-shifting sense of lack of efficacy. Scarcity makes us more mindful of doubt, tension and inability to reach goals. “Self-belief does not necessarily ensure success, but self-disbelief assuredly spawns failure.” -Albert Bandura, Self-efficacy: The exercise of control, 1997. Abundant people realize that they have some say and control in choosing and managing their own feelings. They also realize through experience that being responsible and taking ownership of their feelings and choices is the best way to come to peace with them. Read a post about taking ownership of your choices in Kelli Cooper’s blog. An abundance mindset also makes us aware to not get caught up in the negative mental states and emotions of others. 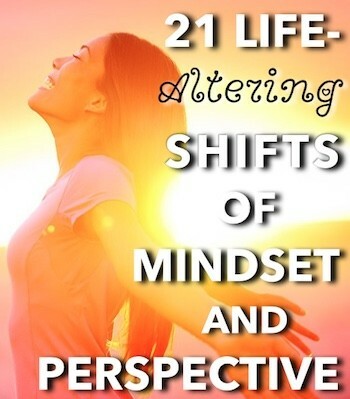 Negative mental states make it a challenge to maintain the mindset of abundance. It is not surprising that getting swept away in the moods and emotions of others takes away from our creativity and our abundance. The key distinction is the rumination or staying with the negative emotions of others. Ask yourself if you are getting caught up with negative states and then feeling bad and switching over to a scarcity mindset. Let me give you an example. You are happy and in a great mood. You feel great and you want to tackle that tough project. Then your friend comes along and hooks you into a discussion that you would rather avoid. You make the transition to not feeling great. You get swept away by other people’s strong emotions and feelings and this is no exception. This is exactly the place where you need to listen but not get carried away with negativity. Often, if you do not resist strongly or offer opinions, your friend gets done with their complaining and feels better. Make sure you come out of that interaction with your emotions and feelings intact and like the way you design them to be. Make sure that your feelings are back where you were at before the interaction. Abundant people have the philosophy that there is plenty to get around. They do not make assumptions and do not argue for their limitations. Instead of arguing for their limitations, they actively seek opportunities and more abundance. They do not look at a situation and say that there is too much competition here. They look at situation differently by asking how can they add their unique spin and perspective to bring fresh air to an old problem. Look at the example of the relatively new pizza company Blaze. They entered an already crowded and high competitive pizza market. They did not think that it was impossible to get a foothold in the already busy field. Instead, they decided to reinvent the customer experience and the way we look at pizza. They decided to fast fire pizza and allowed customers to select their own toppings. It is fun to see your toppings being added right in front of you. Customers feel involvement in the process and receive a pizza within minutes. And they do not seem to have a lack of happy customers. Abundant people do not have cognitive dissonance or conflicting ideas about abundance and spirituality. They do not secretly hold an idea that getting abundant, wealthy and successful makes them less spiritual. Abundant people do not feel that material acquisition goes against the grain of spiritual goals and aspirations. Spiritually inclined people are not wealthy or well off. They do not need abundance because they have an austere life. Abundance is a lot more than material wealth and acquiring things. Still, we cannot seperate or ignore the physical manifestation of abundance. Highly abundant people are addicted to feeling great. They have understood that feeling bad and stressed out does not serve them. They are willing to put in the work and time to understand their rhythms and beliefs. They are willing to work on their beliefs till they get favorable results. You may have heard and rolled your eyes at “fake it till you make it.” But abundant people understand that they have to be and feel abundant first. They understand that they need to feel, think and then act the part of abundance for it to manifest in their lives. It is true that we cannot do much with a defeatist attitude that focuses on lack and limitation. They take charge now so that they can reap benefits later. Abundant people are always giving. They give freely and unconditionally. They offer their time, their smile and even give monetary assistance to others if possible. Abundant people have understood the amazing feeling and the power of giving. While they do not give to get something back, the act of giving intrinsically enriches their life. In fact, research studies have pointed to the happiness boost received by prosocial spending and giving. It is almost like giving opens the doors of the universe for them to have more. Abundant people do not give without a consideration though. They make sure that they have enough before giving away. They know that depletion of their mental, physical, emotional and monetary accounts will not benefit anyone. I remember the story of a group of monks in India living in the mountains from Rev. Michael Bernard Beckwith’s work on abundance. When the villagers in the foothills experienced scarcity, the monks would descend to the village to beg for food and items. It was not that the monks needed anything but their move forced the villagers to give something to them. In India when a monk came knocking on the door, they were not allowed to go away empty handed. The villagers would share food and other things with the monks and that act of giving raised their own levels of abundance consciousness. The village would soon get beyond the scarcity and lack period. Abundant people believe that it is a good idea to engage with the problem and make an attempt. They do not allow a defeatist attitude to take over. Of course, they also develop the intuition to cut their losses and move on when required. They listen to feedback and suggestions and then go do the thing that feels correct for them. Then they put in all their effort and skills in making that a success. Scarcity mentality gives the attitude of what ever I am going to do, I will lose and not amount to anything. Abundant people also go through the muddy waters of severely limiting beliefs. While going through the beliefs, they attempt to get beyond them. We may all have some limiting beliefs or another about abundance. If we have a scarcity and lack mindset, we feel powerless to change these beliefs. If we adopt an abundance attitude, we will make an effort to become aware of these beliefs and try to get beyond them. We will actively challenge such limiting beliefs and replace them for something more favorable. We feel empowered and abundant. Habit research has shown that the best way to change a deep-rooted habit is to replace it with something favorable. Being rich means trampling over a lot of people. Abundance is for people who have a lot of time. It is impossible to get ahead. I feel angry and it is someone else’s fault that I am not abundant. I can never be happy no matter what I do or try. If I receive more, others will experience lack. The key is to replace limiting beliefs with a new one that speaks to plenty and abundance and not to scarcity and lack. What are your beliefs about wealth and abundance. Abundant people believe in continual learning. If they are good, that want to become better. They approach life like it is a big learning experience. They understand the value of having “the beginners” mind and never miss an opportunity to learn. Abundant people also believe in implementing the ideas that they have learnt and not hoarding them for the future. 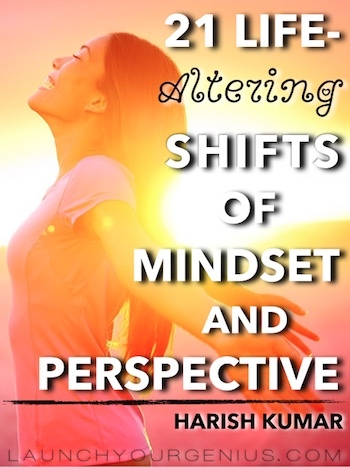 Having and cultivating a mindset of plenty allows us to explore beyond the fixedness of ideas in our life. We are willing to look beyond the standard paradigm to mine for valuable ideas. Abundance also means keeping our eyes open to change and allowing feedback and failure to teach us something new. Abundant people do not panic when they receive success and abundance. Like Marianne Willimason says: It is not only our inadequacy that scares us, it is our light. Many people get anxious and fearful around great abundance because it is a state that is relatively new to them. Abundant people strive to become free of debilitating anxiety and crippling fear. A reduction in anxiety allows better decisions when it concerns money and abundance. When they feel stressed with success and feeling abundant, they do the work to uncover the real reasons why they are anxious. They realize that the real reasons of anxiety with success may have nothing to do with them. They understand that they have just run into an ancient conditioning of safety and security to stay in the zone of comfort. Self-awareness, meditation and other practices make abundant people better deal with stress. This is the end of part-1. Please stay tuned for part-2! Which idea resonated with you and why? 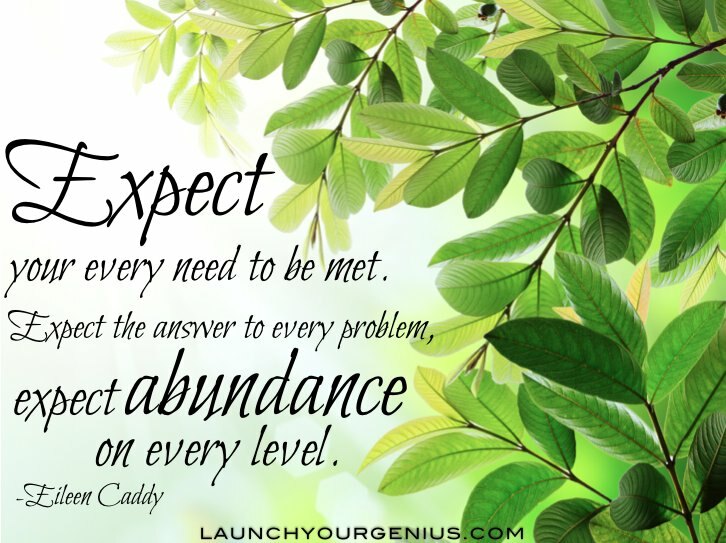 Please let me know in the comments below if you have any tip to enhance abundance! Thanks a lot for your comment! You are most welcome. I agree that thinking competitively rather than creatively can be a huge problem for manifesting abundance. Good point. Especially if the competing speaks towards the idea that one is competing for a limited amount of resources. This can also trigger anxiety and tension which is not great for creating. Studies have shown that anxiety and tension without a clear and directed focus take away from the creative process. I find the idea of retuning the frequency to receive abundance to be quite fascinating. When we give up on the stress and allow things to come to us by putting the right effort and redirecting our focus, things just happen. Even though sometimes things may happen slowly, there is still forward motion. And I agree that it does not matter how many other people want something, if one believes strongly enough to take inspired action, they will receive it in one form or another. In our life there are many things which matter a lot and people can confused as which one to choose for the best? 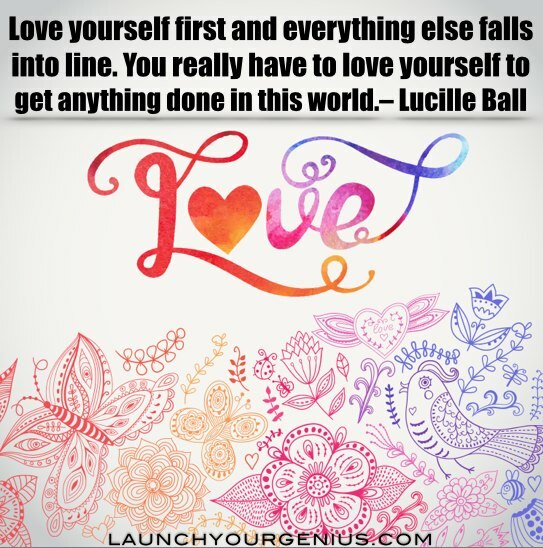 Many people forget to love themselves which is the biggest mistake they do. Though i don’t have much experience with life but still after reading your points you have mentioned above its somehow great that what we need to do in our life. I totally agree that forgetting to love and respect the self is a big mistake. I believe that others find it difficult to respect us if we do not respect ourselves. And yes there are so many options sometimes that it becomes difficult to choose the right way forward and the right action. And that is the major cause of lack of inspiration and the lack of forward motion. Too many choices paralyze and becoming aware of that is quite beneficial. My experience has been that the best work gets done with the highest focus in a few areas of priority. I love this topic and I love the post. People that are abundant do not have a low self esteem and do feel good about themselves. They are curious people who don’t believe in status quo but keep learning and improve themselves. They are master of their minds and can control their emotions.I believe that Abundant people like you have mentioned are in sync with their spirituality, love giving and never believe that anything is impossible. Thank you for such awesome post. I am very glad that you liked the post. Yes, I agree that feeling great about themselves and the world around them is a BIG quality of abundant people. And what is interesting is that, it is almost like abundant people have an internal meter that does not allow them to go too far from this self compass and self concept. And they do not sway very easily from that position of personal power. Even though they have self-doubt and fear, they are able to come to terms with that. And I agree that learning and constantly trying new things is a hallmark of abundance. Abundance does not feel static and stuck. It feels more like flow and more like motion and movement. Sometimes the movement feels organic and fluid and sometimes it feels like it is more difficult. People have sometimes fixed ideas about abundance and those ideas above all prevent abundance from manifesting in ways and forms. WOW! This is great stuff! 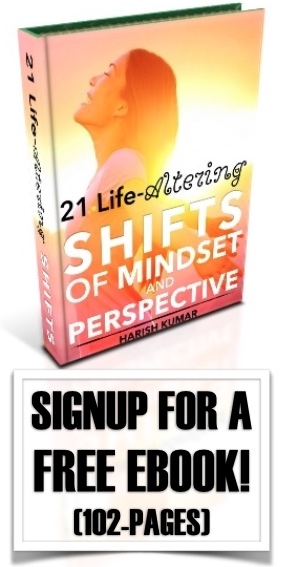 I am feeling the energy of abundance and is already looking forward to what you have to share in part 2. The idea that resonated with me most of what highly abundant people do differently is #3 of being responsible for our own feelings and detaching from the mental state of others. I cannot say this enough but taking responsibility for our emotions can be very liberating! It quickly brings healing and wholeness and improve our mental state of being to the point where we can be at peace with ourselves. We learn to forgive even ourselves and not just others. We are in control of our own thoughts and attitude towards whatever the life situation may be. I have also said this before that negativity and being around negative people drains your energy and depletes your love for life. It is so good to note that this is not something that highly abundant people will tolerate and so will quickly remove ourselves from it. I also enjoyed the quotes which have a way of giving me an even more positive outlook on life in general. Surrounding yourself with people who are optimistic, the visionaries and dreamers is just another way of me channeling abundance into my life. Thanks a lot for your comment, Yvonne! I am glad that you enjoyed the post! I agree that taking charge of our emotions is indeed very liberating. Like you mention, coming to a place of peace with the self and emotions is the really important idea. Even though emotions will keep continuing to stir us, when we are able to come to a solid core of inner calm faster, we feel a deep sense of relief. It is as if a huge burden has been lifted off our shoulders. Since emotions cannot be predicted, we are always at their mercy. When we decide to step in and say that we will be that unshakable and inextinguishable lamp of light in the middle of all the storms, things shift instantly. Now the emotions and difficult feelings come and go but we are not willing to engage an grasp on to them too tightly. It is almost like we have begun understanding the idea of letting go and we feel good about it and have come to peace with it. And forgiveness is a big one too. When we are able to come to the state of forgiveness for the self and for others, things do not feel quite as difficult. Because forgiveness is a deeply compassionate and kind step, it dissolves the hardness associated with some of the more sticky emotions and judgments. I like the idea of surrounding the self with optimistic people and visionaries. I think that when we have great role models and inspiration, it is social proof that someone has already accessed the abundance that is available for everyone. I agree totally with the quote in your post feature image. You need to prepare yourself to tune into the field of abundance. This reminds me of Deepak Chopra’s book on a similar topic. I feel abundance really starts with the feeling of contentment. There’s no limit of increasing your desires or acquiring material things, but contentment makes you feel and inch towards abundance. As you rightly point out, the first step to contentment is to have good self-esteem, self-belief, and self- confidence. You need to be self-empowered and have good amount of self-control. I agree that its important to not get carried away with negativity. It’s important to not let people, things, or situations to get control of you or your reactions. You are right that abundance means plenty and you need to believe that you can tap into infinite resource and have all that you want. I think you state a very important point here on #4 and quote relevant example too that should help every new blogger who feel intimidated by probloggers. And it’s so true that you get what you expect and what your deep driving desire or force is. The complete belief and faith in abundance merges you with it. Your #6 is so important as well. This is what it takes to be successful as well. You’re right about the relation between giving and happiness. 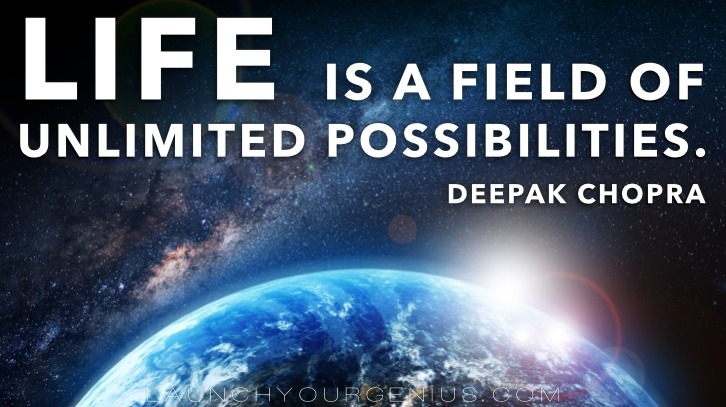 I think its the combination of contentment + belief + self-control + faith that creates the favorable state in yourself to tune up with the infinite field of possibilities and abundance as you mention. Its also important to be positive and follow the “be, do, have” philosophy. Now that you’ve mentioned and explained everything in this post about abundance and how to have that in life, I wonder what more surprises you’ve in store in the second part of the post! I look forward to that and thanks for this wonderful post that gave the opportunity to reflect on life and tune up with the fundamentals again. Thanks a lot for your comment, Harleena! Deepak Chopra has a lot of wonderful advise on abundance. I love the quote from Wayne Dyer too. It takes away the excessively materialistic aspect of abundance and shifts the focus to a spiritual and energetic one. I agree that abundance begins with with a feeling of contentment. When a person feels good with what they have, they are opening the gates of abundance. When a person comes to peace with the sufficiency of their current situation and begin counting their blessings instead of complaining and criticizing, a great shift happens. I like what you said: “You need to be self-empowered and have good amount of self-control.” I completely agree that self-empowerment and self control and not descending into the complaining and comparison are important. Criticism and complaining achieve little and inflict a lot of damage on the prosperity mindset. 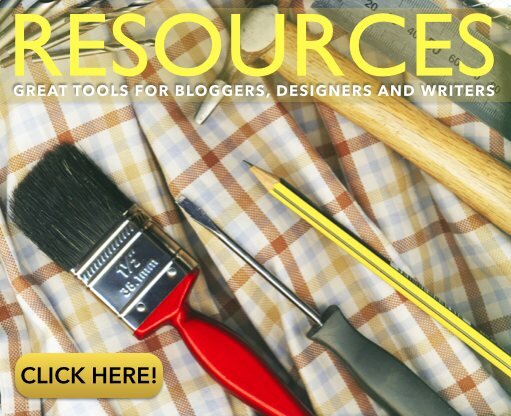 Your example of new bloggers and probloggers is a very relevant one for many people. I do believe also that bloggers descend into comparison with probloggers and feel sorry for themselves. What they should do instead is to use the time and focus on unleashing their unique blend of creativity. I think that the formula they you gave…combination of contentment + belief + self-control + faith and I think it is a very powerful combination. If we can hold a place of contentment and self belief and a strong sense of faith, we are getting in sync with the field of possibilities. I am glad that you enjoyed the post and you are looking forward to part-2! Awesome post. Totally agree with the all the points you have mentioned. You have good self – esteem. 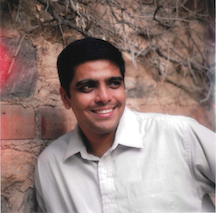 It reminds me one of Vivekananda’s famous quotes “Whatever you think that you will be. If you think yourself weak,weak you will be; if you think yourself strong,you will be”. Thanks a lot for your comment, Umapathy! I appreciate the kind words. I love the quote you shared from Vivekananda!! It is an absolutely fabulous quote and very representational of the post and the message that I was trying to convey. I agree that one needs to feel confident, positive and powerful about oneself. That is the foundational stone to all abundance. I am sorry to comment and check this late. Actually I checked this a day before but I was facing some problem with the layout of your blog. But now I can read it perfectly. Thanks for the kind words and for your support. It made me feel very glad that I wrote the post. In fact, the comments from everyone here make me very happy! You all are AWESOME! I agree that motivating people to be positive and optimistic is very important. If those initial steps are absent, people will will simply stop and not any further steps. Quite interesting post and well peace of writing. Feel amazing way to know more about abundance. Definitely after engaging with problem we will surely find a way to solve that problem. Undoubtedly criticizing is not the only solution to fight with problems. We have to face and learn from the past. It’s the only solution to prove yourself. Thanks a lot for your comment! And thanks for the kind words! I love the quote from Louise too! She has written many books including the masterpiece “You can heal your life.” I was fortunate enough to come across her life changing work at a highly transformational time of my life. She also says “everyone is trying the best that they can with the wisdom, knowledge and understanding that they have.” I think those words are powerfully compassionate and kind. I agree that criticism while having its place in the discovery process does little to accomplish anything by itself. We have to learn the lessons from failure and criticism to move forward. Always wanted to know more about the concept. I read a lot of self help books but I never really “got” what it really is about. I read the 2 parts you created and the list format made it really easy for a guy like me to understand HAHA! Thanks a lot for the kind words Dennis and thanks for stopping by. I am very glad that you enjoyed reading this post and that you found it useful. I really believe that if we think BIG and from the standpoint of abundance, we usually end up fulfilling that objective. There is great power and hope in abundant thinking, feeling and actions. That means continually stretching ourselves into the zone of discomfort to do things that are bigger and better. Thanks and hope you have an abundant week!